TMT Enterprises, Inc. carries a wide variety of natural aggregate paving materials for all types of applications. 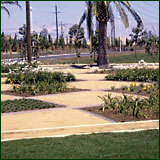 We have access to decomposed granite and other types of crushed aggregate fines in all sorts of colors and textures. There are varying shades of gold, tan, brown, red, gray and blue. Textures range from very fine materials that are best suited for garden pathways or baseball and running track surfaces to coarser products with greater durability for handicap access, bike trails, golf cart paths, service roads and driveways. For those more demanding installations, we offer NexPave™ wax coated aggregate paving. 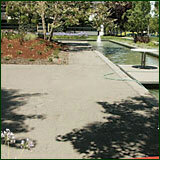 This amazing treatment transforms decomposed granite into an asphalt-like paving material with similar durability. 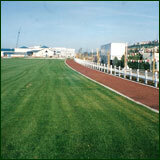 While no longer permeable, this material is a true all weather natural aggregate paving.